Extremely Rare Find â Nearly 10 usable acres very close to town. 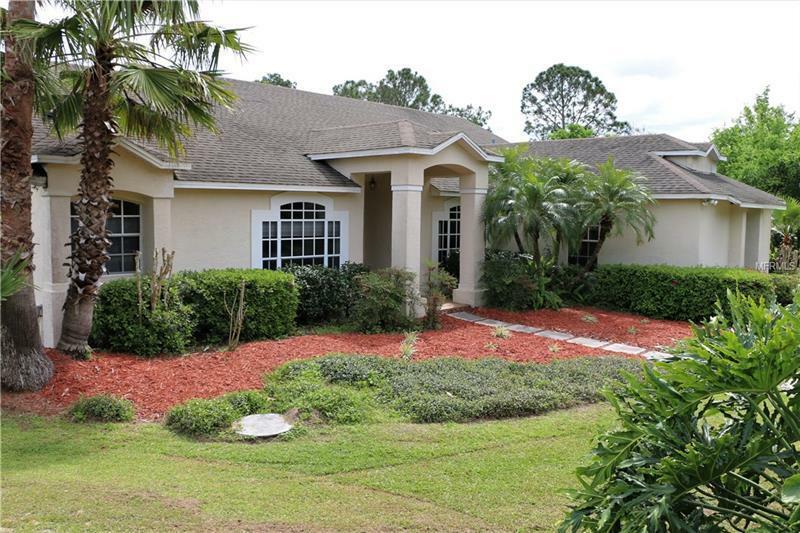 A hidden property yet 10 minutes to Publix and dining. 28 minutes to Downtown Orlando 15 minutes to UCF. Black Hammocks feels like Old Florida. This property is high nearby properties are wet lots of wild life and privacy. Compare... you are getting a 5 bed home 7 stall barn and 9.57 acres. Most homes in the area are 5 acres. That extra 4.5 acres is a bargain â correction â it's a steal!!! Vacant land in Black Hammocks is from $20000 to $38000 asking price per acre. Compare to other homes this is a deal you can't go wrong buying land. The home is fresh and clean very neutral ready for you to add your dÃ©cor. It's an excellent floor plan. The barn looks weathered in the pics it's 2x6 siding in solid condition needs paint to gussy it up. Pastures are in good shape (did you see the clover?) front paddock and big rear pasture. About an acre of woods for wildlife and privacy. Do Not overlook this property! If you have horses and young ones come quick. Courtesy of Xcellence Realty, Inc.